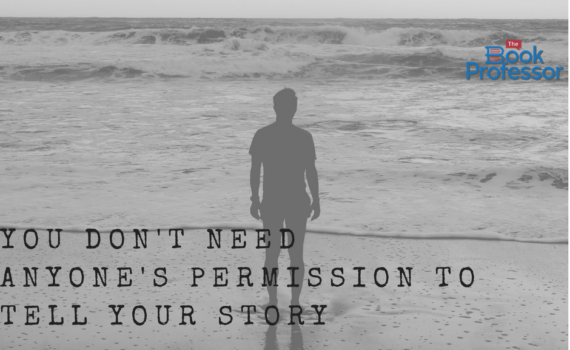 You can succeed in today’s marketplace as an independent author. There’s data to back that up. Of course, statistics and sales reports won’t mean a thing if your book has not been professionally edited or if you rushed through the design process. Hugh Howey is an independent author of 31 self-published books. He’s well known now, as he sold the film rights for his sci-fi series, Wool, to 21st Century Fox in 2012. But in his early days, like many independent authors, he had trouble gaining traction with readers. 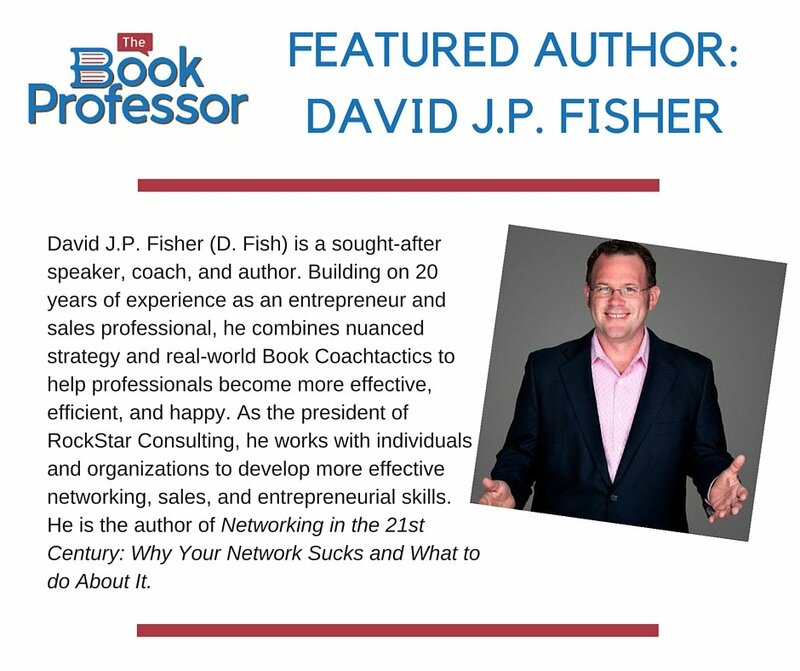 He found that after self-publishing his books, there were no resources available to help him track how his book was performing compared to other authors in the marketplace. None of the mainstream tracking services — such as the American Association of Publishing — included self-published books in their reports. He had no way to tell who was buying his books, or books similar to his, and who wasn’t. That is why Howey and his partner — a numbers-crunching self-published author aptly named the “Data Guy” — started Author Earnings, a resource that compiles all of the data that might be relevant to independent authors. It’s crammed with revealing numbers, including quarterly sales reports for both traditionally and independently-published books, regional-specific reports, and reports detailing eBook and audiobook sales. It then synthesizes that data in such a way that allows writers to make informed decisions about marketing their books. For independent authors, that makes Author Earnings an invaluable resource. But there are additional insights from Author Earnings that authors need to be paying attention to. Here are a few notable nuggets of wisdom from the site’s latest report. Independent authors comprise a large portion of the industry’s most regularly-purchased authors, and while it remains that the Dan Browns and John Grishams of the world reside comfortably and consistently near the top of any earnings report, when it comes to independent authors, those spending time at the top are constantly changing. Rising new stars are making serious waves in the industry all the time. 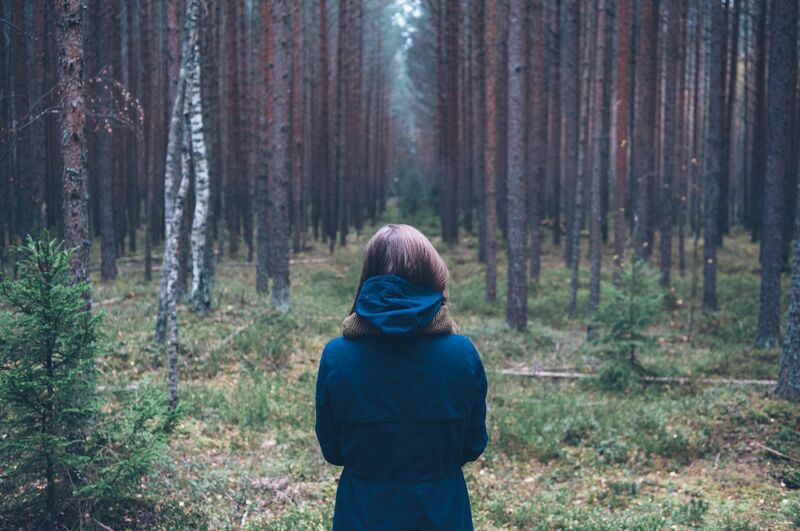 Sure, self-publishing a bestseller requires a little luck. And, yes, the independent authors at the top of Howey’s latest earnings report got there because they positioned themselves for success by way of investing in editing work, cover design, and marketing. But what we can now confirm is that you don’t need to be a household name to publish a best-selling book. Author Earnings’ recent data illuminates that eBook sales are pretty consistent throughout the year. Print books sell better in August (for beach season) and December (for the holidays), but for independent authors, there is no bad time to release your book. That means there is no built-in advantage to releasing your book on September 1st versus February 1st. The one exception here is actually December, which is something we’ve learned over the years: The hardest time for a self-published author to be discovered is the holidays. Readers simply don’t have the time during the holiday season to discover new authors. When they’re purchasing books as gifts, they’re looking for something they know the recipient will like and aren’t usually apt to taking risks. There are those out there who will tell you, “If you don’t think your book is worth a dollar, neither will readers.” Those people haven’t looked at the data. What the latest Author Earnings report also shows is that it’s not a “bad” thing for independent authors to give their books away for free or sell them for 99¢. Evidence shows that people are purchasing/accessing plenty of free and 99-cent books, which means selling your book at a cheap/discounted price is a potentially valuable route for independent – and especially new – authors to explore in the quest to find readers and create momentum. For new authors, creating momentum is paramount. You want to build a readership, you want to get more reviews, and one great way to do that is to make your first offering easier to buy. In other words, independent authors who choose not to publish print books are severely limiting their potential sales because they’re willfully neglecting 30 percent of the market. Same thing with eBooks, especially given the report’s emphasis on self-published authors’ success in the eBook market. 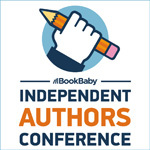 Author Earnings confirms that independent authors are seeing real financial success when self-publishing books, and while there are fewer independent authors earning triple-digit numbers, the industry is rife with opportunity. Of course, independent authors always need to ensure that they’ve spent the time creating a quality product before publishing. Seasonality and sales insights won’t mean a thing if your book has not been professionally edited or if you rushed through the design process. Still, what independent authors should internalize is this: You can succeed in the marketplace. The data backs it up. 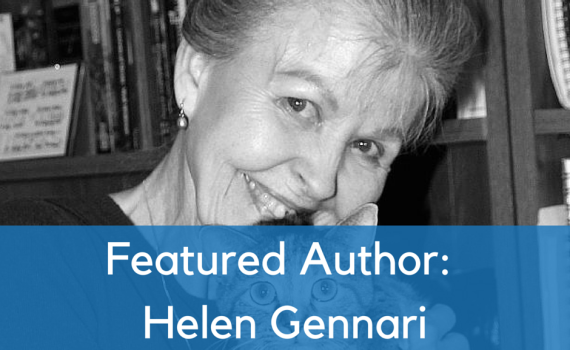 Your author website is a reflection of you as a writer and of your book as a work of art. It pays to make sure it is as enticing as the story you’ve spent months (or years) laboring over. 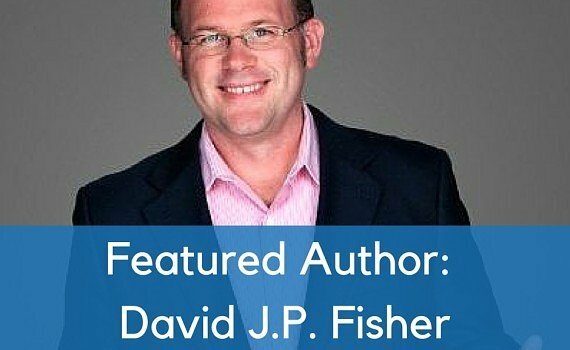 Here are six ways to improve your author website. Every author — independent, traditionally published, or otherwise — needs a website. A Facebook page doesn’t count, nor does a Twitter or LinkedIn profile. In today’s dynamic and competitive book market, you need a space that provides a complete picture of what you’re offering. That space needs to feature your writing, your various channels of engagement, and all the intangibles that set you apart. 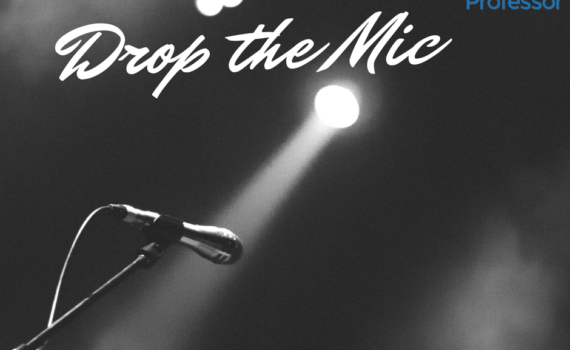 It’s a critical component of your brand. If you don’t already have a website, you might want to take a look at some best opencart hosting options that could help you create the website of your dreams. Having a comprehensive website (and general web presence) is a way of leveling the playing field and giving your book a chance to compete with the big-name authors and traditionally published books in the market. Tip #2: Give readers three ways to buy your books. 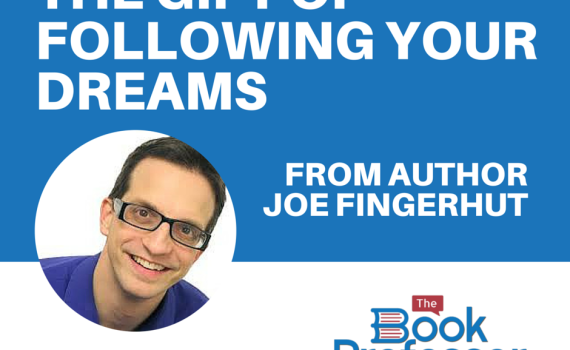 Whatever the primary goal for your site, you need to give visitors a way to buy your books. You should give your readers no more than three buying options to choose from. One of these will likely be Amazon. Another can be an alternative outlet like Barnes & Noble, Books-A-Million, or even Walmart.com. And the final option should link to your own e-commerce page — like the BookShop pages provided to BookBaby authors. 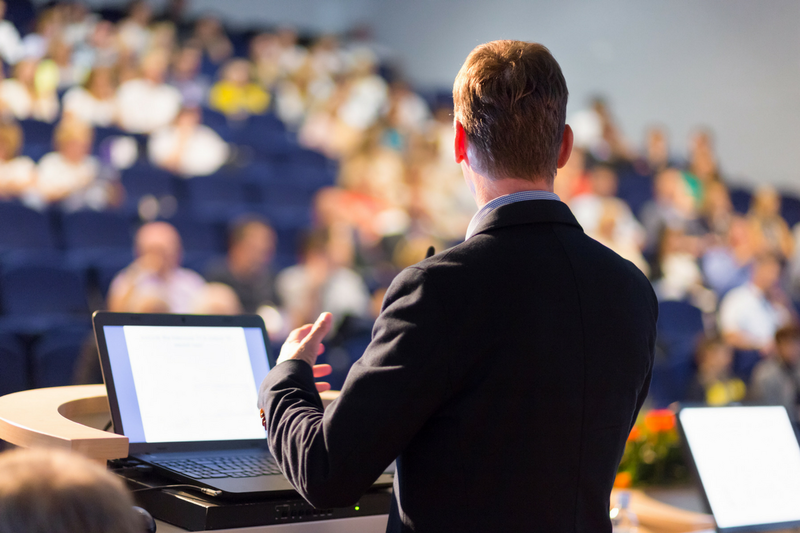 One of the most common problems plaguing inadequate websites is they aren’t geared to adjust to mobile devices, which makes the presentation look choppy at best. You want a “responsive” website, meaning it optimizes itself for the device used by the visitor, from laptops to iPhones and every size in between. You might not think having a responsive website is all that important until you consider how many people use iPads or iPhones to search the web. At BookBaby, we’re seeing that about 35 percent of visitors to our site are using some kind of mobile device. If your author website is not optimized to ensure these readers have a positive experience when they come to you, you’re severely limiting your reach. Just as professional design and editing services are essential to ensuring your printed book can compete with traditionally published works, it pays to ensure your author website looks like those used by traditionally published authors. There are a variety of services you can use for this (e.g. Wix, WordPress, Squarespace, and HostBaby) that make it simple for anyone to create their own website. 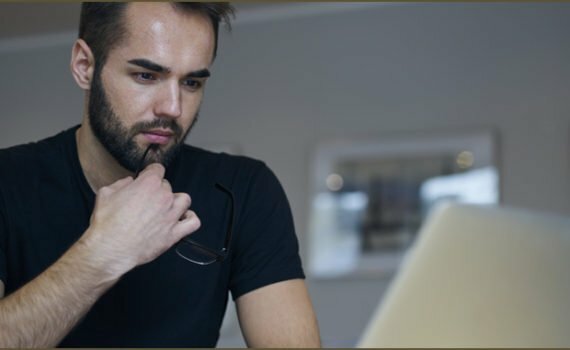 Finding a Source for web hosting is easier than it has ever been before, but is still one of the most important steps in creating a successful website. But these sites will only help you reach a baseline. Authors now compete in an extremely crowded market, and if you really want to take your online profile to another level, it may be worth collaborating with a professional web designer. A great way to attract readers’ attention — and entice them to provide you their personal email addresses — is to offer them with something of value. In publishing, the most common lead magnet is some kind of free content: usually chapters from your book, or perhaps even an entire eBook. This is especially common for authors who have written a series. Hook readers by giving them book one, and then contact them by email and get them to buy book two (and three, and four). Giving away content like this helps you engage with readers. It also makes readers more likely to “repay the favor” of receiving free content by buying your book. 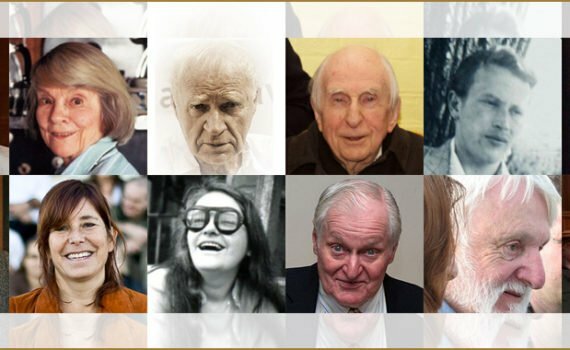 The list of notable authors, writers, publishers, and contributors to the written word who passed last year is far longer than anything we could include in one blog post, but let’s take a moment to recognize 12 authors who died in 2017. Please, populate the comments with tributes to those who meant the most to you. 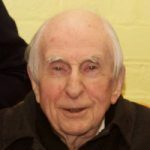 The creator of the Paddington Bear series of books, which were published from 1958-2018 (a new title is due on May 31st of the year), Thomas Michael Bond also created the Olga da Polga (guinea pig) and Monsieur Pamplemousse book series. Bond’s Reflection on the Passing of the Years, written after his 90th birthday, was read in 2016 at a service commemorating Queen Elizabeth II’s 90th birthday. Image via Shutterstock (editorial use). 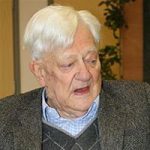 Richard Adams‘ first and most enduring work is Watership Down, published in 1972, which earned him a Carnegie Medal in 1972 and a Guardian Children’s Fiction Prize in 1973. Other novels by Adams include Shardik, The Plague Dogs, The Girl in a Swing, Maia, and Traveller. 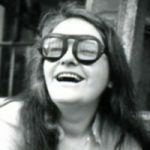 A social activist, educator, and feminist author, Kate Millet is best known for her PhD dissertation-turned radical feminist text, Sexual Politics, published in 1970. Millet was also an artist and filmmaker, who authored 10 books between 1970 and 2001. She was inducted into the National Women’s Hall of Fame in 2013. A precocious student, Robert Pirsig suffered a nervous breakdown a decade before the 1974 publication of his literary touchstone, Zen and the Art of Motorcycle Maintenance: An Inquiry into Values. Upon its publication, he was awarded a Guggenheim Fellowship, which propelled him to write Lila: An Inquiry into Morals, which was published nearly two decades later. 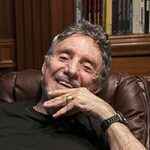 A writer and filmmaker, William Peter Blatty is famous for writing the book and screenplay for The Exorcist, published in 1971. He also wrote Legion, a follow-up to The Exorcist, and The Ninth Configuration (also known as Twinkle, Twinkle, “Killer” Kane). Legion was adapted to film as the Exorcist III, which Blatty directed. 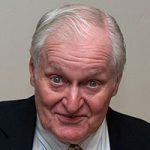 A surrealist poet who often stretched the bounds of the movement, John Ashbery was a prominent, controversial, and influential figure throughout his life. He earned 20 (or so) notable awards and fellowships, including a Pulitzer Prize in Poetry in 1976 for Self-Portrait in a Convex Mirror. 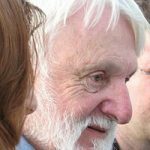 He published over 30 collections of poems between 1953-2016, including Some Trees, in 1956. 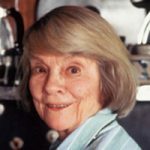 While an author herself, Judith Jones is perhaps most widely recognized for pulling two pivotal (and wildly disparate) books from slush piles of previously rejected works: The Diary of Anne Frank and Julia Child’s Mastering the Art of French Cooking. Jones’ later work was focused mostly on editing and writing cookbooks. Image sourced from the cover of The Tenth Muse. 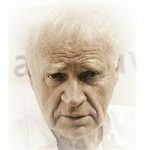 A playwright and screenwriter, Polish-born Janusz Glowacki(pronounced YAH-noosh gwo-VATZ-key) turned a trip to London in 1981 into an eight-year exile, which found him relocating to New York City, where he maintained a residence until his death. His list of accolades and awards is lengthy, with Cinders, Hunting Cockroaches, The Fourth Sister, and Antigone in New York considered his most prominent works. 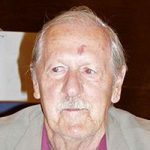 Recognized mostly for his science-fiction writing, Brian Aldiss authored more than 80 books, 300 short stories, and many volumes of poetry in addition to being recognized as an accomplished visual artist. His short story, “Supertoys Last All Summer Long,” published in 1969, was the basis for 2001’s Kubrick/Spielberg film A.I. Artificial Intelligence. Image: Brian Aldiss at Worldcon 2005 in Glasgow, August 2005. Picture taken by Szymon Sokół. 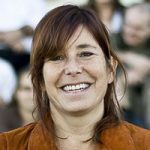 The author of more than 30 children’s books, including several that were New York Times best sellers, Amy Krouse Rosenthal also authored Encyclopedia of an Ordinary Life, a memoir fashioned in the style of an encyclopedia. In addition to that, Rosenthal made short films, worked with WBEZ (NPR Chicago), and was a contributor to the TEDActive conference. 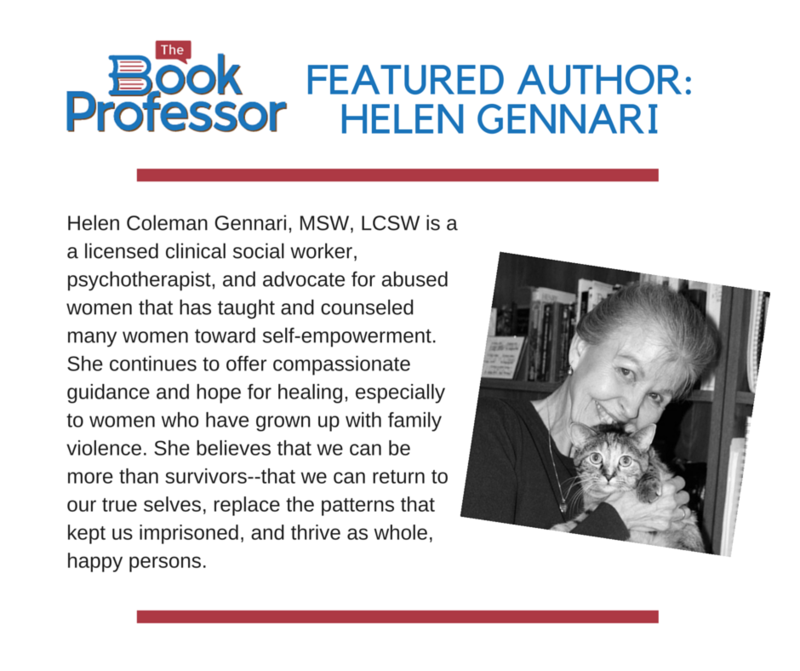 She also published essays, including “You May Want to Marry My Husband” in the New York Times 10 days before her untimely death from ovarian cancer. Image sourced from Amy Krouse Rosenthal’s YouTube page. A two-time Pulitzer Prize winner (for poetry in 1957 and 1989), Richard Purdy Wilbur was appointed as the second United States Poet Laureate in 1987 and was awarded the National Medal of Arts by President Bill Clinton in 1994, among a long list of awards and achievements. 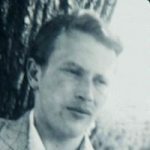 1947’s The Beautiful Changes, and Other Poems was his first published collection of his poetry, and he published 10 other books of poetry, the last being Anterooms in 2010. 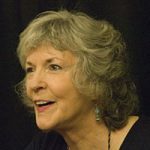 Sue Grafton, best known for her “alphabet mysteries,” died one letter short of completing the book series. The first of the series, A Is For Alibiwas published in 1982; the latest, Y Is For Yesterday, was published August 2017, and continued the quest of the series’ female protagonist, private investigator Kinsey Millhone. Grafton got her start in Hollywood, writing screenplays and television scripts. According to her husband, Grafton knew (for years) that the final book in the series would be titled Z Is For Zero, but her battle with cancer prevented her from beginning it. Read “Musicians who died in 2017” on the Disc Makers Blog. 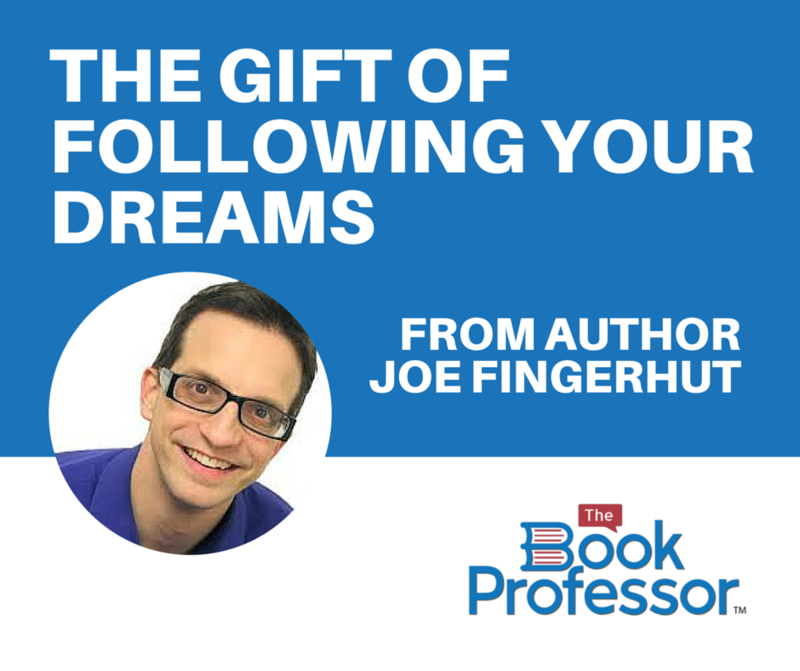 Part speaker, part entertainer, part crazy dad, and always fully engaged, author Joe Fingerhut has written a high-impact book that will change lives, save lives, and transform society for teens. He already knew he had special gifts to share with others and took it to a new level when he published his first book! So, you like the thought of writing a book, and you have an idea that keeps rolling around in your head, but that’s all your great idea does – it lives in your head. Wouldn’t you like to get that book out? It’s hard to start a book. You have so much to say, need to organize your thoughts, you have a full-time job that gets in the way and children to care for after work, and by the time you have time to write, you’re too tired to write. Don’t worry! There is a solution. One of the best ways to write a book is in small time boxes. 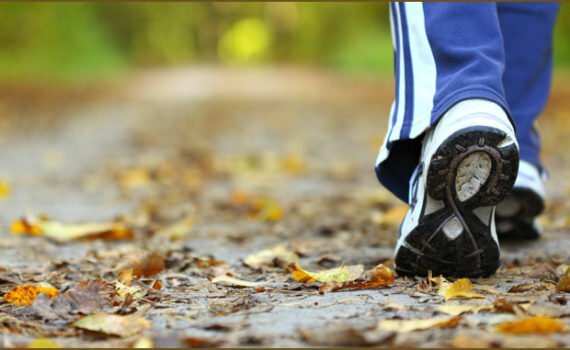 I recently heard that you can get your daily allotment of physical exercise in ten-minute increments, done several times a day, which sounds a lot more manageable than slogging it out on a treadmill for an hour. Writing is like that, too. Do you have fifteen minutes? Sure you do. Plant yourself at your computer or on a park bench or in the front seat of your car and WRITE SOMETHING — maybe it’s a childhood memory you want to capture, or the description of the crisp, fall air that will set a scene, or a conversation you overheard that would make great dialogue. Get it down, and do it now! 1. Sit down, close your eyes, and take a deep breath. 2. Picture an inanimate object that you find simple to describe. It could be a paperclip, your favorite mug, a pen, a shoe, a penny, etc. 3. Now let the words pop that describe that object: shiny, hard, silver, twisted, blue, slick, sharp, and on and on. 4. Once you’ve exhausted your vocabulary, open your eyes and start writing something that will contribute to your book. You don’t need hours to write, you don’t have to have all your menial tasks finished first, you don’t even need to be at your computer. All you really need is fifteen minutes and the back of a napkin. If you practice this several times a day, you’ll develop a writing habit and will build the bricks of your book that you can be pieced together.